The Oscar for this year’s Best Animated Feature Film belongs right here, even though the ravishing movie that Tim Burton has conjured up in “Frankenweenie” isn’t strictly animated in the computer-generated sense. Burton and his team used the stop-motion technique, which means taking puppets, about a foot tall, and painstakingly moving them half a millimeter at a time to achieve a subtlety of expression beyond the range of CGI. Brilliant stuff. Burton used stop-motion in 1993’s “The Nightmare before Christmas”, then again in “Corpse Bride”, but the digital improvements at his disposal now really make it sing. 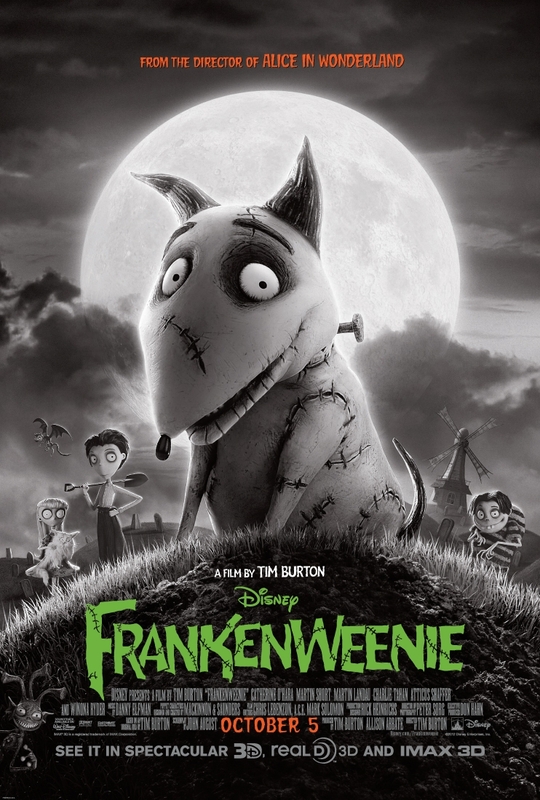 It took 28 years to make “Frankenweenie” finally happen (the original idea was a short movie shot in 1984), which wouldn’t matter a damn if it lacked inspiration. It doesn’t. Instead, it’s 87 minutes of pure movie magic. It’s a unique take on Mary Shelley’s Frankenstein with a sense of humor all its own. The young hero here is a boy named Victor Frankenstein whose only friend is his dog sparky. But when Sparky dies unexpectedly one day, Victor uses his scientific techniques to figure out a way to resuscitate the little creature. It’s in the aftermath of the experiment that the movie hits its stride. The visuals are amazing. And if younger audiences freak out when Victor’s science teacher (voiced by a wonderful Martin Landau) makes a long speech about lightning and electricity, you’ll know that the movie has done its job right. You get the picture. It’s warped and wonderfully effervescent. Ditto the music by Danny Elfman. Not to mention the references to such classic movies as “Dracula”, “The Bride of Frankenstein”, “20 000 Leagues Under The Sea” and even Burton’s very own “Vincent”. The result has the earmarks of an enduring classic. Of all the new Halloween films, only this one has the power to truly haunt our dreams. I loved it. Curious what you thought about ParaNorman. That would be my pick for Best Animated Feature Film thus far for 2012. Heard a lot about it. Haven’t had the chance to see it yet! hdorto , bass aswad w abiad 3D.